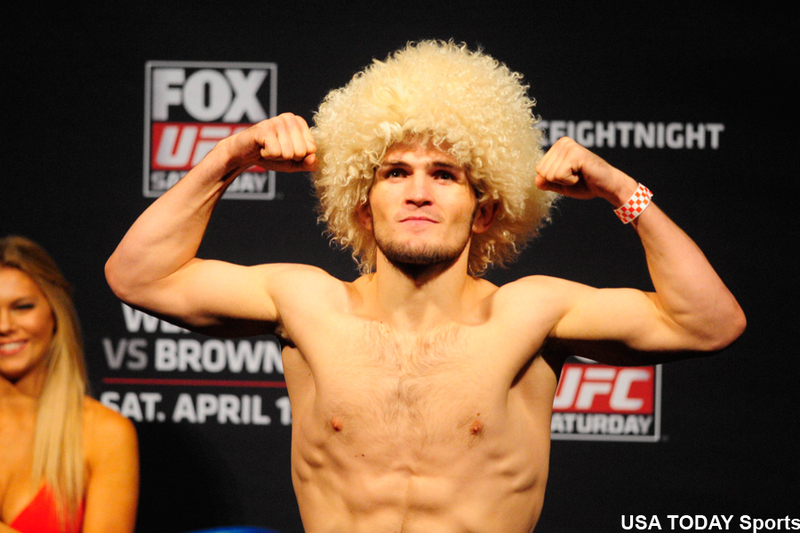 Khabib Nurmagomedov (pictured) has a New Year’s gift for Tony Ferguson, and it’s not his blond afro wig. On Monday, Nurmagomedov offered to pay Ferguson $200,000 out of his own pocket if he finally puts pen to paper for a fight. After UFC president Dana White announced lightweight champion Conor McGregor will enjoy an extended layoff after blasting Eddie Alvarez in November, Nurmagomedov turned his attention toward a shootout with the only other 155-pounder who can legitimately stake claim to next crack at the crown. While Ferguson said he was more than down to tango, he wouldn’t do so unless he was paid just as much as Nurmagomedov for the shootout. Last week, White confirmed Ferguson’s financial demands, but doesn’t intend on breaking out his checkbook anytime soon. “So we were trying to make that fight — Tony said he will not do that fight unless he makes the same exact money that Khabib makes. Khabib has a different deal. That ain’t happening. Count that out,” White said. Nurmagomedov must have recently signed a UFC contact extension, otherwise his offer doesn’t make sense, because Ferguson’s disclosed salary was more than twice as much as Nurmagomedov’s the last time their paychecks were released. Nurmagomedov made $48,000, with half coming via win bonus, for beating Darrell Horcher two fights ago. November’s November submission victory over Michael Johnson took place in New York where disclosed salaries are not revealed to the public. Ferguson, meanwhile, scored $100,000, with half coming by way of win bonus, for tapping out Edson Barboza three outings ago. His subsequent disclosed salaries for beating Lando Vannata and Rafael Dos Anjos were not released. If Nurmagomedov follows through with his generous offer, it sure sounds like a no-lose situation (outside of the possibility of actually losing) for Ferguson. Ferguson did not respond to Nurmagomedov’s challenge at the time of publication.